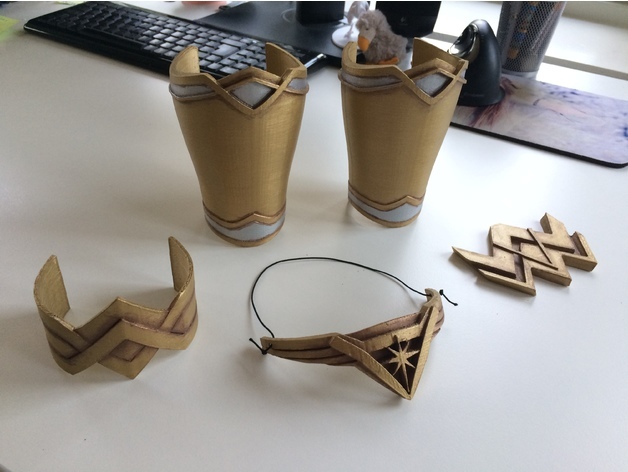 Wonder Woman Bracers by Freddy #3DPrinting #3DThursday « Adafruit Industries – Makers, hackers, artists, designers and engineers! Freddyanimator shared this print on Thingiverse! Wonder Woman’s bracer’s inspired by the design from the movie. Open on the backside so you can just easily put them on. You’ll have to play around with the scale. Needs some support at the bottom. I painted mine with gold, silver and brown acrylic colors.